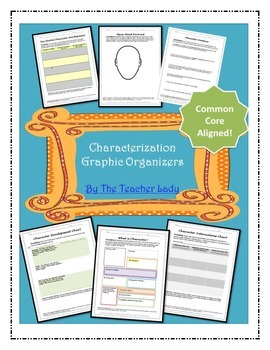 This document contains 7 different graphic organizers dealing with characterization. The graphic organizers are aligned to the 6-10th grade band of the CCSS for Literature. 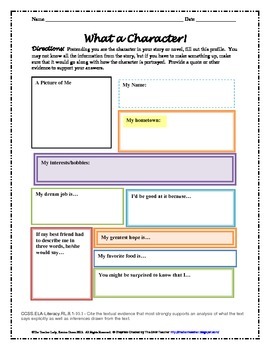 Each graphic organizer asks students to infer their character's traits and provide evidence from the text. 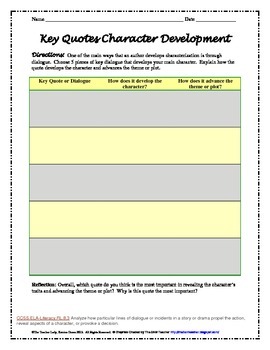 They each have their own unique focus from tracing character growth and development to key quotations by each character to interactions between the protagonist and other characters. 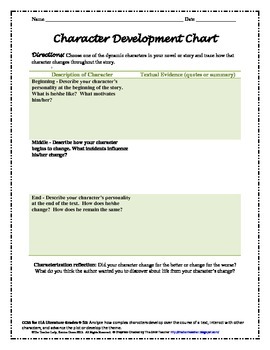 Your students will be sure to progress in their understanding of characterization by using these graphic organizers! These graphic organizers are also available individually. Check it out!